Welcome to Young Living Oils! 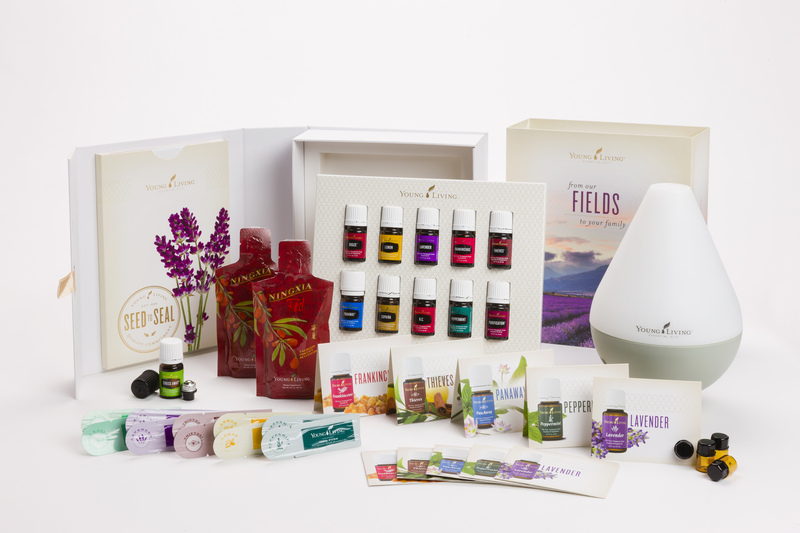 Young Living Essential Oils are a lovely addition to your home wellness kit. Have you watched our video yet? If not, you may want to start here. Are you ready to get some oily goodness sent directly to you? Let’s talk about your ordering options. Young Living Oils are only available for purchase online. You can choose if you want to order retail or become a wholesale member. Before you make a decision, let’s take a closer look at these options. Your very best deal for your money is one of the four Premium Kits. Premium Starter Kit ($160+): Includes 5 ml bottles of these oils: Lavender, Peppermint, Thieves™, Lemon, Copaiba, Frankincense, Purification, R.C., DiGize, PanAway. Plus you receive a Wholesale Kit which includes: a 5ml BONUS bottle of Stress Away, an AromaGlide roller fitament, two NingXia Red 2-oz sample packets, 10 oil sample packets (2 each of Peppermint, Lemon, Lavender, Peace & Calming, and Thieves) – perfect for sharing with others or taking on the road with you – and literature for becoming a member. This kit is only $160 and contains more than $300 worth of product. Yep half price! It really is the best bang for your buck. Thieves Premium Starter Kit ($160): Thieves, Thieves, oh how we love thee! Thieves® was created based on research about four thieves in France who covered themselves with cloves, rosemary, and other aromatics while robbing plague victims. This proprietary essential oil blend was university tested for its cleansing abilities. It is highly effective in supporting the immune system and good health. This kit is amazing! It contains the complete line of home and personal care products infused with the pleasant, spicy aroma of the proprietary Thieves® essential oil blend! This kit includes: Thieves essential oil 15ml, Thieves AromaBright, Thieves Mouthwash, two Thieves Cleaner, two Foaming Handsoap, two Thieves Spray, two Thieves Purifier. PLUS, you receive a Wholesale Kit which includes: a 5ml bottle of Stress Away, an AromaGlide roller fitament, two NingXia Red 2-oz sample packets, 10 oil sample packets (2 each of Peppermint, Lemon, Lavender, Peace & Calming, and Thieves) – perfect for sharing with others or taking on the road with you – and literature for becoming a member. The retail value of everything in this kit is almost $240! –> This Starter Kit is ideal for those wishing to replace harmful chemicals in the home with powerful, natural alternatives. NingXia Premium Starter Kit ($170): Love the amazing effects of this magic juice? You will enjoy beginning with this kit. You receive 2, 750 ml bottles and 30, 2-0z packets or NingXia Red. You also receive 14 tubes of NingXia Nitro. Plus you receive a Wholesale Kit which includes: a 5ml bottle of Stress Away, an AromaGlide roller fitament, two NingXia Red 2-oz sample packets, 10 oil sample packets (2 each of Peppermint, Lemon, Lavender, Peace & Calming and Thieves) – perfect for sharing with others or taking on the road with you – and literature for becoming a member. The retail value of this kit is $290! Save $120 with the kit! –> If you are here for the NingXia Red, this is your kit. You have one other, less expensive option, that can get you started on a wholesale account. Basic ($40): Includes a Wholesale Kit: a 5ml bottle of Stress Away, an AromaGlide roller fitament, two NingXia Red 2-oz sample packets, 10 oil sample packets (2 each of Peppermint, Lemon, Lavender, Peace & Calming, and Thieves) – perfect for sharing with others or taking on the road with you – and literature for becoming a member.